Canadian, Vancouver-based guitarist Gordon Grdina began studying the oud well over 15 years ago, and these days he is playing the eastern instrument as much as the guitar, which is informed by his experience of playing the oud and vice versa. Accordingly, his jazz and rock oriented projects are colored by subtle colors of classical Arabic music. But Grdina’s rich experience as improviser and composer projects contributes to his strong personal voice as a oud player, different from other modern oud players who fuse the Middle-Eastern traditions with contemporary music or jazz like Anouar Brahem, Rabih Abou-Khalil, Rahim Alhaj or Dhafer Youssef. His recent releases reflect his elaborate, singular language as guitarist and oud player. Ejdeha (the Farsi and Kurdish word for dragon) is the first album from Grdina where he focuses only on the oud. He is joined by a long-standing partners - double bass master Mark Helias, who has collaborated before with Acclaimed Lebanese singer and oud player Marcel Khalife, Canadian-Persian percussionist Hamin Honari, and cellist Hank Roberts. This chamber, acoustic quartet enables Grdina to refresh the Middle-Eastern musical traditions with his original ideas and to arrange his compositions in a way that incorporates both Middle-Eastern and Western sensibilities of all four musicians. 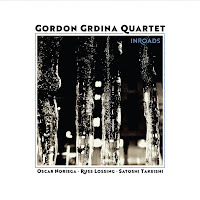 The Marrow began as a trio consisting of Grdina, Helias, and Roberts that was put together to perform at an oud summit in New York; however, it soon morphed into a quartet with the addition of Honari. Grdina's compositions are mostly based on classical Arabic and Persian modes - the maqam and dastgah - but challenge the traditional tonal, modal or rhythmic constraints and demand risk-taking improvisations from all four musicians. The spirit of these delicate pieces is dark and brooding, but occasionally the melancholic mood is propelled by some uplifting vamps. The Marrow delivers Grdina’s intricate compositions with an organic fluidity, adapting superbly to the complex quarter-tones-based modes, or to the more ambitious and contrapuntally through-composed piece, “Wayward”, which relates to Grdina’s compositions for Inroads (reviewed below). Grdina leads the quartet with reserved yet assured playing, different from his urgent tone as a guitarist. His immediate, telepathic interplay with Honari dictates the suggestive pulse of his compositions. He improvises freely on the title piece between different maqams - Nava, Saba, Nahawand and Rast in a natural, poetic ease and irreverent approach that no traditional oud player will allow himself/herself. Some pieces like “Bordeaux Bender” suggest more open, exploratory improvisations while others as “Full Circle” offer conventional, more simple and melodic themes. Grdina concludes this impressive album with a beautiful, joyful tribute to the great Malian guitarist-singer-songwriter Boubacar Traoré, simply titled “Boubacar”. This time his oud spins the cyclical West-African lines through the hypnotic-rhythmic playing of Nubian-Sudanese late oud player Hamza El-Din. 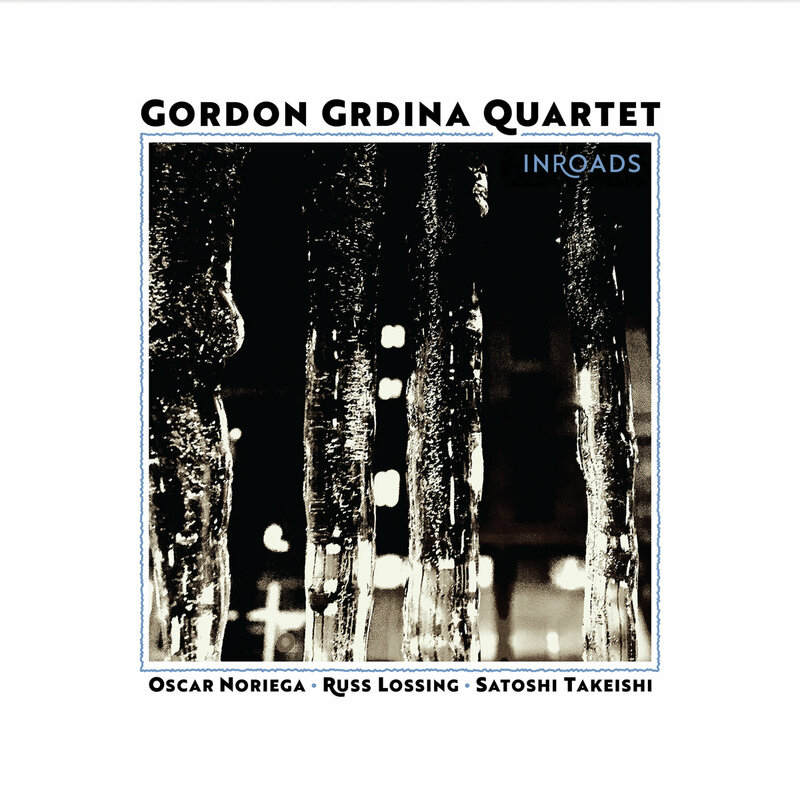 This New York based quartet of Grdina's - him on electric guitar and oud, reeds player Oscar Noriega, pianist and Fender Rhodes player Russ Lossing and drummer Satoshi Takeishi - is centered around Lossing’s piano. Gridna wanted to challenge himself and explore more subtle and delicate voices in his own playing and realize more complex contrapuntal structures with this quartet. He said that his compositions for this quartet were inspired from the complexity of Béla Bartok, the freedom of Ornette Coleman, the energy and logical construction of ideas in Soundgarden, and the delicacy of Anton Webern. The unique chemistry of these four strong-minded improvisers was solidified only after Grdina took the quartet for a short tour. The quartet found its own balance and logic within Grdina’s demanding compositions. 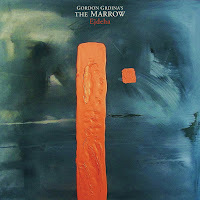 The interplay of this quartet is more dense and intense than the one of The Marrow, and sounds as if Grdina wanted this time to experience his own Western and Eastern sensibilities as a clash of cultural ideologies that may introduce a new, common language. “Fragments” offers an arresting dialog between the oud and the piano. Both Grdina and Lossing search for new timbrel possibilities, challenging each other throughout this improvised texture that moves fast from fragile, lyrical segments to fast, powerful ones. Grdina’s serpentine, electric guitar lines bend and ornament the chamber jazz improvisations of Lossing on “Not Sure”, like any oud player would have done but with much more power and energy. Patiently, he charges the quartet’s interplay on this piece with furious power, leading towards ecstatic eruptions. On “Apocalympics” he explores a playful and highly rhythmic, Mediternan, flamenco-like mode”, but spinned through an electrified, fusion prism. The China Cloud is Vancouver’s underground art space where Grdina has previously recorded a trio album with fellow-Canadians and close collaborators - clarinetist François Houle, and partner in the Peregrine Falls duo, drummer Kenton Loewen (Live at the China Cloud, 2017, available on Grdina’s bandcamp page). 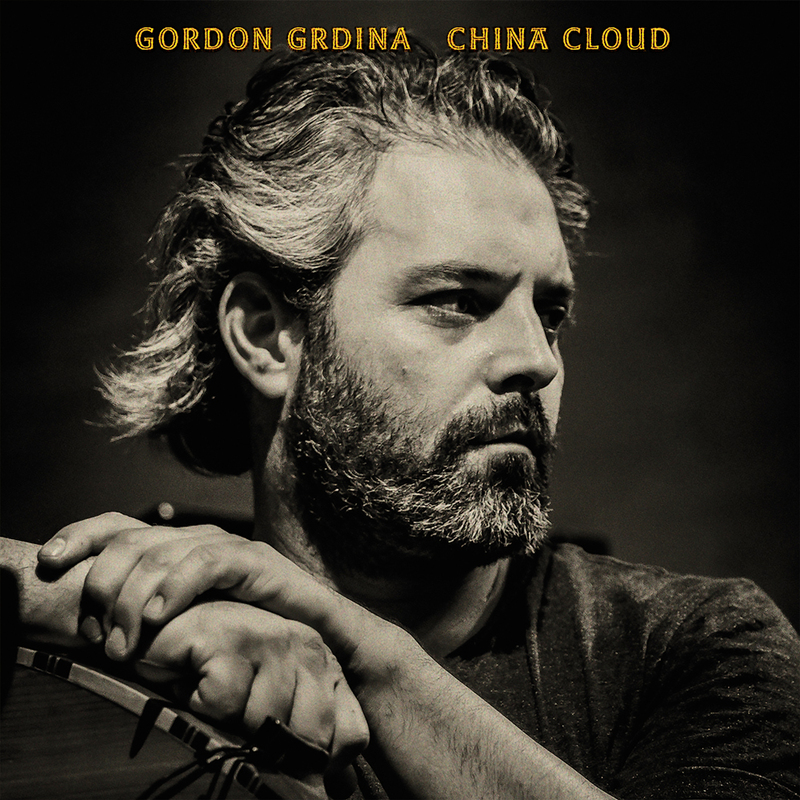 China Cloud is the debut solo album from Grdina after about two dozen collaborative projects, recorded over several intimate improvised solo performance at the same art space. This digital only album features Grdina playing on electric and acoustic guitars and the oud, experimenting with assorted effects, tape loops and obscure percussion. Grdina concise improvisations are evocative and contemplative and it seems that he is experimenting/investigating new ideas and possibilities. These cinematic pieces reflect his rich, imaginative sonic palette and his boundaries-bending idiosyncratic language. “Desert Fiddle” and the miniature “Din” suggest subtle Middle-Eastern dreamscapes with effects-laden, atmospheric electric guitar. He distorts the clear, ringing-acoustic sound of the oud with industrial-sounding loops on the free-formed improvisation, “Compacted Dreams”. His oud playing on the lyrical-melancholic “The Waiting” sounds like he is paying respects to Tunisian oud player Anouar Brahem. “Blind Mice” “Closure” offer beautiful, touching melodies on the acoustic guitar. Grdina even sings with a smoky-folky vocals on the last “A Doll’s House”. Free Jazz Blog on Air: Festivals!